Film is a collaborative effort requiring talented individuals to come together and make sacrifices for the greater good of the final project. One often overlooked element is the meticulous nature of sound editing and the powerful effect it can have on the viewer. 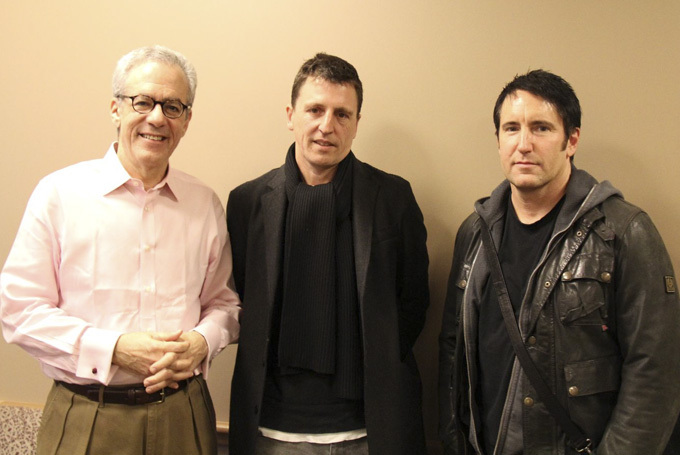 On March 27th, Academy Award-winning composers Trent Reznor and Atticus Ross visited with Professor Jason E. Squire’s class to discuss their work on the music and sound of The Girl with the Dragon Tattoo. Professor Jason E. Squire’s Arts and Industry of the Theatrical Film course is a case study on a single film which brings in industry professionals to SCA to discuss their involvement in the project and participate in a Q&A. This year, the film was The Girl with the Dragon Tattoo.